Jim Thorpe is a thriving small town that has capitalized on its natural beauty and breathtaking architecture in a way other towns in the country seek to emulate. A National Historic Landmark, Saint Mark & Saint Johns Church, Stands as the crown jewel of this picturesque community, of which much of the down town is listed on the register of historic places for its local, state and national historic significance. 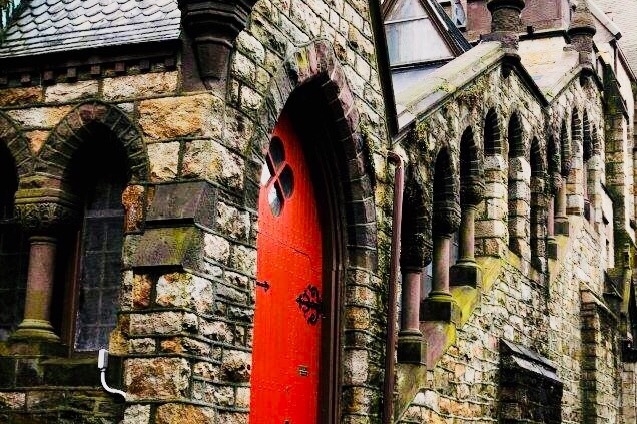 Designed by Richard Upjohn, Saint Marks is a perfect example of gothic revival architecture with an addition by Addison Hutton. That treasure is in jeopardy, as well as other buildings on Race and Susquehanna Streets, due to the proposed excavation of the mountain for a County vehicle only parking garage and office space, just yards away from irreplaceable windows executed by Louis C Tiffany and the church’s foundation, that IS the mountain itself. The orientation of the bedding layers in bedrock can increase the possibility for rockslides, or collapse and the transmission of vibrations can damage masonry, plaster and glass during demolition and construction. Likewise, with the loss of parking at the Susquehanna Street parking lot (proposed building site) and constructions impact on traffic flow (only one lane) during the towns peak season will severely impact the towns small businesses. Trust that public officials would not put the historic church and the livelihood of business owners at risk is gone. The time is NOW for legal opposition. Please stand with the community as it mounts a vigorous defense against Carbon County and its commissioners to prevent the construction of a proposed taxpayer-funded $16 million county office and parking garage, which residents can ill afford financially or consequentially. 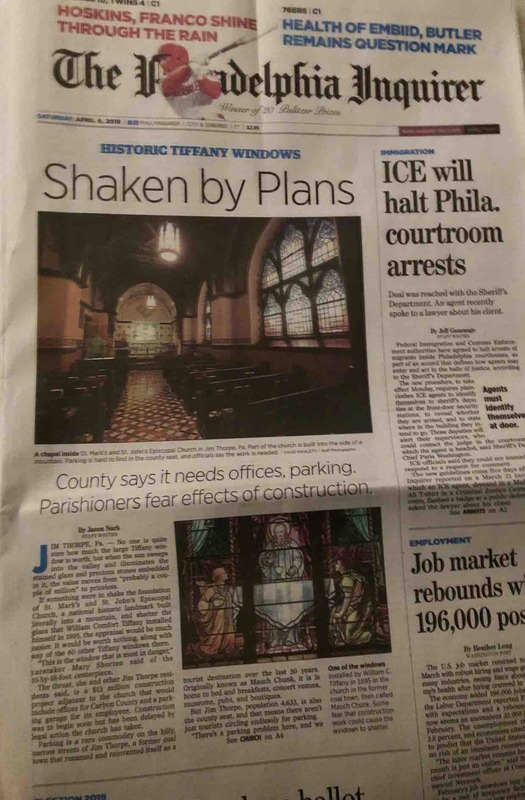 Front page of the Philadelphia Inquirer 4/6/19. We are having a dance party fundraiser, join us tomorrow night at the Mauch Chunk Ballroom!